Takeaway: Noise exposure can have detrimental effects on the whole body, not just your hearing. Noise is one of the most common occupational hazards and is also the one most often overlooked. According to the most recent statistic available from the National Institute for Occupational Safety and Health (NIOSH), approximately four million workers are exposed to damaging levels of noise every day. Additionally, ten million people in the United States suffer from noise-related hearing loss. Here’s what you need to know about the key health effects of high levels of occupational noise and what can be done to protect workers. The main auditory effects of noise exposure at work include tinnitus and noise-induced hearing loss. Tinnitus is described as a ringing in the ear, although other sounds, such as buzzing, humming, whistling, or hissing can sometimes be heard. Tinnitus can either develop gradually over time from prolonged exposure to occupational noise, or suddenly. In addition to some degree of hearing loss and ringing in the ear, symptoms of tinnitus can also include an inability to concentrate, difficulty sleeping, and even depression. Tinnitus is the second largest single category for disability claims in the military. Noise-induced hearing loss (NIHL) is a permanent hearing impairment which results from prolonged exposure to high levels of noise. According to NIOSH, 15 percent of Americans between the ages of 20 to 69 suffer from high frequency hearing loss, which was either attributed to occupational or leisure activities. Additionally, noise-induced hearing loss is the most common occupational disease in Europe. The symptoms of noise-induced hearing loss include the inability to hear high-pitched sounds and the loss of audibility (volume of sound). If exposure to high levels of noise continues, an employee’s hearing will further deteriorate, resulting in the inability for him/her to detect lower-pitched sounds. It should be noted that the damage caused by noise-induced hearing loss is permanent. Additionally, noise-induced hearing loss may eventually affect speech and the ability to communicate. In addition to it auditory effects, prolonged exposure to occupational noise can affect employees psychologically. Noise can cause annoyance, sleep disturbances, stress and depression, as well as impair cognitive functions. Worker susceptibility and tolerance to noise on a psychological level varies widely from person to person and different types of sounds may have different tolerance levels. Work-related stress is the adverse reaction an employee has as a result of the excessive pressures or demands of their job. There are many contributors to workplace stress, noise being one of them. The effect noise has on a worker’s stress levels is dependent on many factors, such as the nature of the noise, the nature of the job task being performed while exposed to the noise, and the worker themselves (e.g., if he/she is tired). The symptoms of work-related stress include changes in normal behavior (e.g., eating habits, excessive drinking, or smoking), difficulty concentrating, mood swings, poor memory, confusion, changes in sleep pattern, twitchy or nervous behavior, and depressive feelings. Therefore, through work-related stress, occupational noise can result in impaired cognitive functions and sleep disturbances, as well as depression. In addition to increased health costs, these can cause safety issues in the workplace. Exposure to prolonged levels of noise can elevate stress hormones, such as adrenaline and cortisol, which can in turn lead to high blood pressure, as well as stroke and heart failure over time. According to a report published by the World Health Organization (WHO), “noise is causing more deaths from heart disease than was previously thought.” It is a serious issue in the workplace. Hypertension or high blood pressure can be the direct result of the exposure to high levels of noise over an extended period of time. Studies have shown that people’s heart rates tend to increase as their exposure to noise increased, even when the noise level was below 65 decibels (the sound level of a normal conversation). The symptoms of hypertension include severe headaches, dizziness, blurry vision, fatigue, chest pain, difficulty breathing, and a pounding sensation in the chest or ears. Furthermore, elevated blood pressure levels for an extended period of time can result in stroke and/or heart failure. Conducting a risk assessment to determine the sources of noise in the workplace, as well as exposure levels. Providing workers with hearing protection/noise reduction devices appropriate to the type and amount of noise exposure, such as industrial hearing protection headphones, earplugs, and earmuffs. Educating workers on the important of hearing protection actions so that they understand that they are at risk for noise-induced hearing loss, as well as other health effects. Develop and implement a hearing conservation program in the workplace. Workplaces where occupational noise exposure levels are in excess of 85 decibels are required by the Occupational Health and Safety Administration (OSHA) to implement a hearing conservation program. The program should entail noise level measurements, noise control, hearing protection, audiometric testing (learn more about this in Understanding Audiometric Testing), education and training, and record keeping. Implementing various engineering controls, such as replacing or modifying noisy equipment and machinery, or enclosing or isolating the source of noise. Implementing various administrative controls, such as making changes to the work environment. This may include operating loud machinery during hours where fewer workers will be exposed to high noise levels, limiting the amount of time a worker spends at a particular noise source, as well as providing workers with a quiet area, where they can retreat to escape hazardous noises. Although noise is a part of everyday life, prolonged exposure to high levels of noise in general can permanently damage your hearing. Once you lose your hearing, you can never get it back. Addressing the issue of noise in the workplace can be highly beneficial to both employees and the business. For employees, this means a safe and healthy working environment. 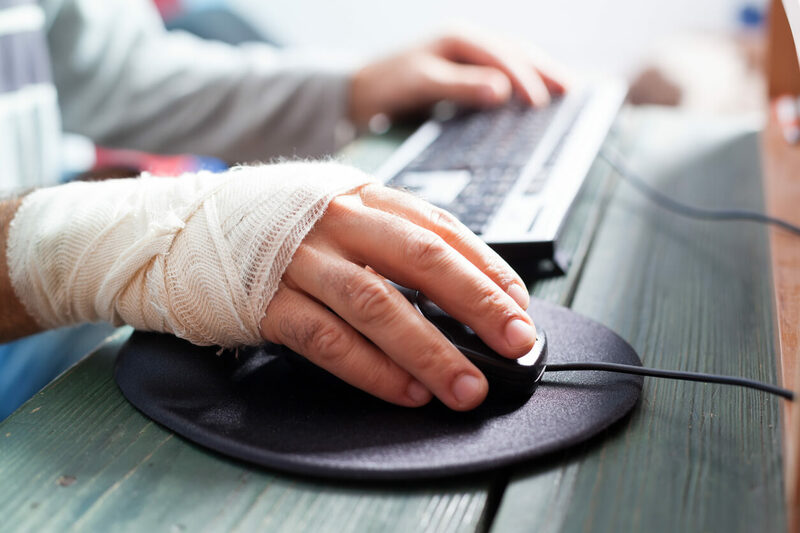 For the business, there are fewer costs associated with disability claims.